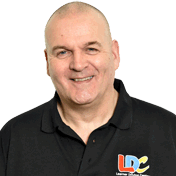 Prior to joining LDC, I enjoyed 15 years as a fully qualified Secondary School teacher. I therefore also have a Post-Graduate Certificate in Education. Before that, I spent a similar number of years supporting customers, in my role as a BT Service Engineer. So, having spent decades helping to achieve success for others, driving instructing just seemed like a natural progression to me. So here I am now, still doing a job that I love. There is nothing better than watching someone pass their driving test.